Thailand has long been a tourist favorite. Coined “The Land of Smiles”, the country has seen an increase in the number of tourists, despite political unrest and flooding in recent years. 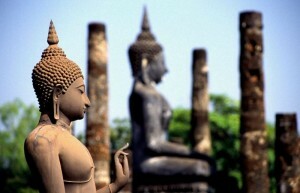 In 2012, an estimated 21 million tourists visited Thailand, the highest number for the country. The country’s resilience despite political and environmental issues is one of the many advantages the country provides to foreigners looking to start a business in the country. Other advantages include virtually unrestricted access to other member nations of ASEAN, the cheap prices of occupancy, support and incentives from the government, and its ease of doing business. Thailand was positively ranked 18th in the World Bank’s study of Ease of Doing Business. A Thai partnership is set up by two or more partners, and all partners share unlimited liabilities. A Thai partnership is not required to be registered, but can be at the owners’ discretion. Each partner is liable for another partner’s wrongdoings. An alternative Business Structure in Thailand to partnership is a limited partnership. In this form of partnership, there are one or more partners with limited liabilities, and one or more partners with unlimited liabilities. If a foreigner invests in more than half of the investment, the company is subjected to the Foreign Business Act (FBA). The foreigner would then have to apply for a Foreign Business License. A Thai Private Limited company is a common business form in the kingdom. At least seven shareholders are required to open a private limited company and this number must be maintained at all times. Foreigners can own all of the shares of the company, subject to government guidelines on business activities. Similar to the Thai partnership, the business is only subjected to the FBA if a foreigner owns over 50% of the shares. The FBA prohibits Thais from acting as nominee shareholders. Thailand provides many opportunities for foreigners hoping to enter the ASEAN market. It is important to consider all possible options when deciding which type of company to open when entering the market. Send us your questions about the processes involved in setting up in Thailand and for other insights about the strong business sectors, apart from Tourism of course.